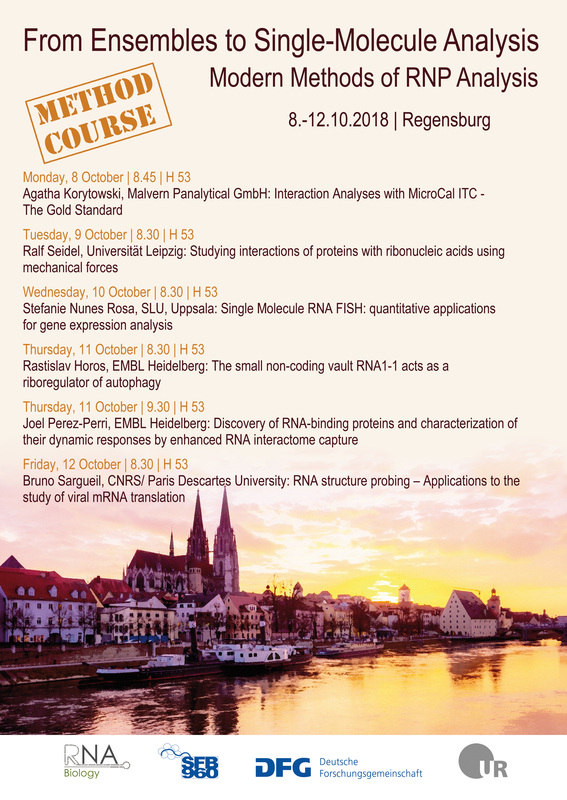 The Graduate Research Academy RNA Biology organizes a Practical Course on "From Ensembles to Single-Molecule Analysis - Modern Methods of RNP Analysis" from 8.-12.10.2018. All expert lectures and method lectures within the course are open to the public and take place from Monday to Friday, October 8-12 from 8.30 to 9.30 and from 9.30 to 10.30 in the lecture hall H 53. All interested guest auditors are invited to participate.